On the basis of two-nation theory, subcontinent Asia was divided into two independent countries Pakistan and India in 1947. A careless line on the border decided the fate of millions of people, a line which the British drew in a hurry to leave South Asia. According to historians, the partition gave an identity and individuality to both the nations with which they are known in the world. 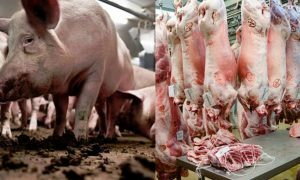 The recent example of this individuality is the response from both the countries on Pulwama terror attack. 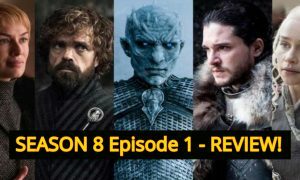 The politicians, government officials, lawmakers, and even the Indian celebrities held Pakistan responsible for Pulwama incident without any proof. BJP ministers politicize the incident for electoral benefits. Indian youth were busy in spreading hate among masses with false claims, on the other hand, famous Indian celebrities including Javed Akhtar, Shabana Azmi, Kangana Ranaut, Salman Khan, and many others took it to social media and express their anger for Pakistan and Pakistani artists, they also demanded from their government to cut off the cultural ties with Pakistan. But when we talk about Pakistan, the peace gesture of Prime Minister Imran Khan and sensible reporting by Pakistani journalists won the hearts of many. Unlike Indian celebrities, Pakistani notable media personalities shared thoughtful messages from their official social media accounts instead of criticizing the other country. But What Is The Reason Behind The Fierce Rivalry Between India And Pakistan? It is an internationally known fact that India and Pakistan are opponents of each other. Whether we talk about cricket, media or politics – both the states are totally opposite of each other. Well, there is not a single reason for this rivalry. Indian occupied Kashmir, the dispute over sharing rivers and land, the stiffness in Indian’s government behavior were a few reasons for it. 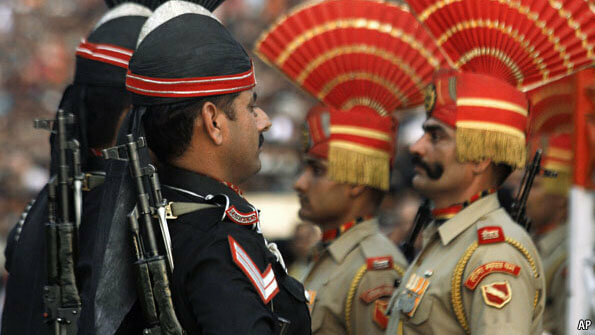 This rivalry between India and Pakistan doesn’t come up in a day, it was there since partition. But to lessen this tension, what steps have been taken? 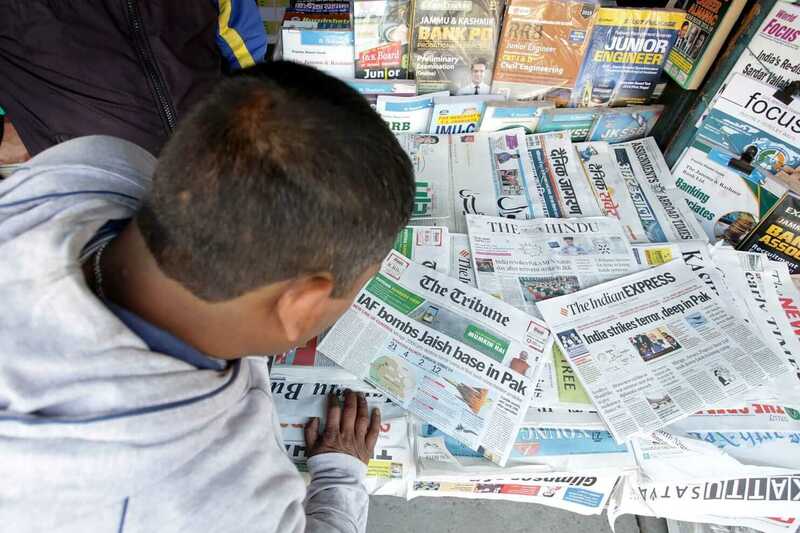 As we know that media manipulates the people’s mind accordingly and we do remember the famous ‘Aman Ki Asha’ campaign, a campaign jointly started by two leading media houses – Times Of India and Jang Group. The aim of the campaign was to bring peace and develop cultural relations between Pakistan and India. On the other hand, the celebrities of both countries worked together to promote the purpose of the campaign but unfortunately, the Indian government politicized it as well and the goal of bringing peace in the region lost its essence. When it comes to movies, we saw a totally different mindset. 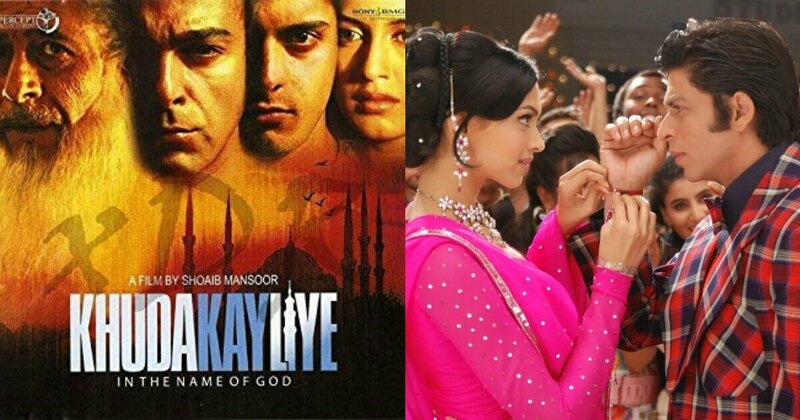 In the start, both the film industries – Lollywood and Bollywood released movies on social issues or biopics but later on, the audience observed how the things went upside down. After the partition, the Pakistani film industry faced a difficult time because of the shortage of funds and filming equipment. Lollywood released its first film ‘Teri Yaad’ in 1948 which was based on a typical formula story. 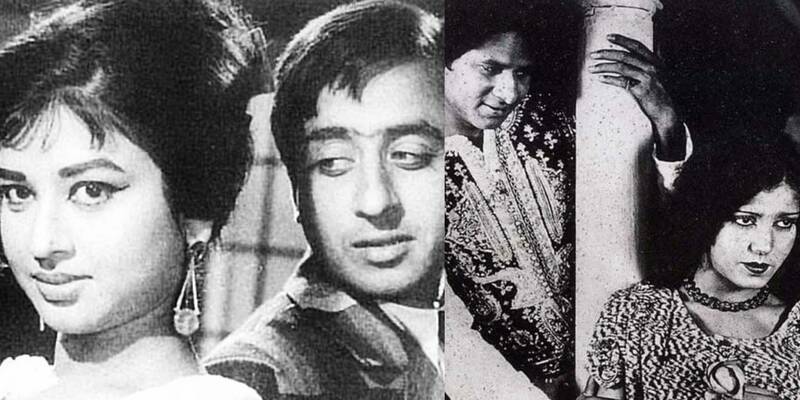 When Lollywood was at an early age after partition, Bollywood had become an established film industry. Dadasaheb Phalke, who is known as the father of Indian cinema, was already working in the industry since 1913. Raja Harishchandra was his first film which is still known as the first silent feature film of India. Most of the Pakistani filmmakers, singers and actors moved from Lahore to Bombay’s Bollywood including Dilip Kumar, Mohammad Rafi, Noorjehan and that was the time when Indian film industry became the center for Hindu-Urdu film production. The late 1960s was proven as the Golden Age for both the countries. Kaghaz Ke Phool, Mother India, Awara, Aurat, Mughal-e-Azam were released in Bollywood while Armaan, Jalta Raha Charagh, Tauba screened in cinemas. Lollywood came at the brink of misfortune once again when Bangladesh got separated from Pakistan in 1971. The political directorship took charge of the entertainment industry, it became difficult for Lollywood filmmakers to work under strict policies of Zia regime. Growing censorship against displays of affection gave Punjabi films and Gandasa-culture a chance to flourish on the cinemas. While Bollywood was experiencing romantic and underworld dominated films. 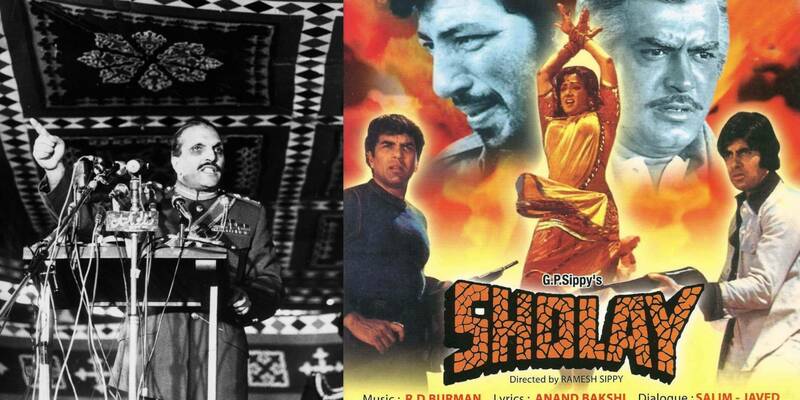 Sholay, Zanjeer, Deewar, Kabhie Kabhie were a few of the blockbusters of the 1970s. The period from the 1990s to onwards is entitled as the new Bollywood era. The family-oriented romantic musical films, masala movies, action films were released. Kuch Kuch Hota Hai, Hum Dil De Chuke Sanam, Raja Hindustani were a few of the movies of B-town Khans people loved. Among art films, Bollywood saw big-budget movies as well on the screen. The Punjabi feature film Chooriyan by Syed Noor, Ye Dil Apka Hoa by Javaid Shaikh were a few of the movies which made remarkable business on the cinemas during the 1980s to 1990s, in the time when Lollywood was almost collapsed. In Musharraf’s regime, Lollywood was revived as he let the censorship policies up and uplifted the ban on screening Bollywood movies in Pakistan. Pakistani artists restarted working in the Indian film industry and TV serials and gained immense popularity worldwide. 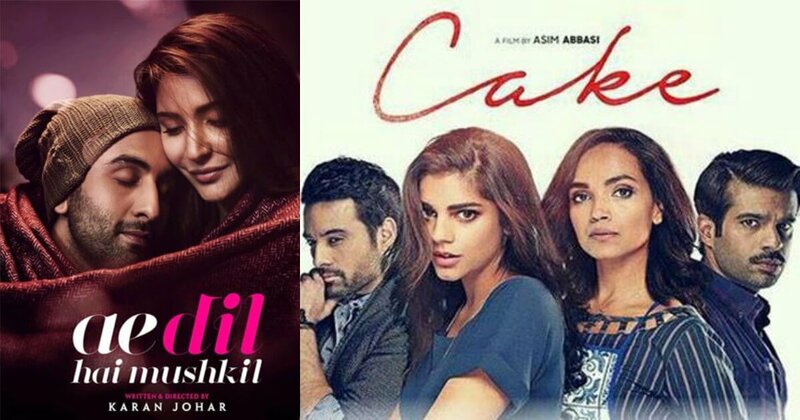 In Terms Of Content, Where Is Lollywood And Bollywood Standing Now? 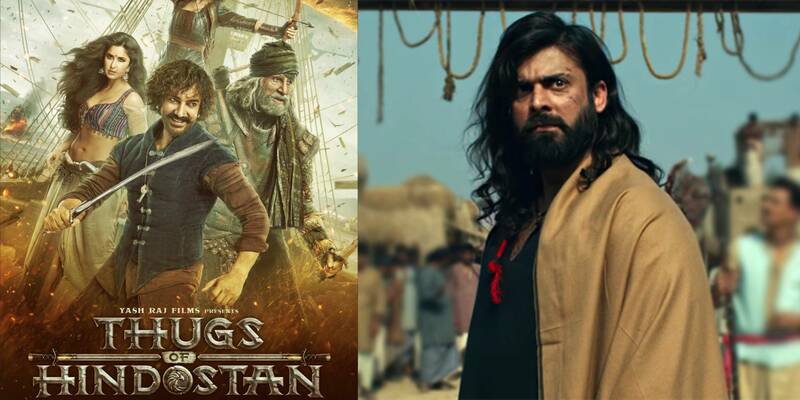 It has been seen that in the past few years, Lollywood filmmakers are creating innovating content to engage the audience while the majority of the Bollywood movies only has a sizzling item number and intimate scene to grab the audience. Thugs Of Hindustan, Zero, Race 3 are a few examples of it. Pakistani filmmakers, on the other hand, are revitalizing the cinema with great work. Bilal Lashari’s The Legends Of Maula Jatt, Asim Abbasi’s Cake, Shazia Ali Khan’s Pinky Memsaab grab the attention of the international audience. The celebrities who are vocal about political and social issues of Pakistan are Hamza Ali Abbasi and Shaan Shahid. Both always use social media to raise their voice on any certain issue. 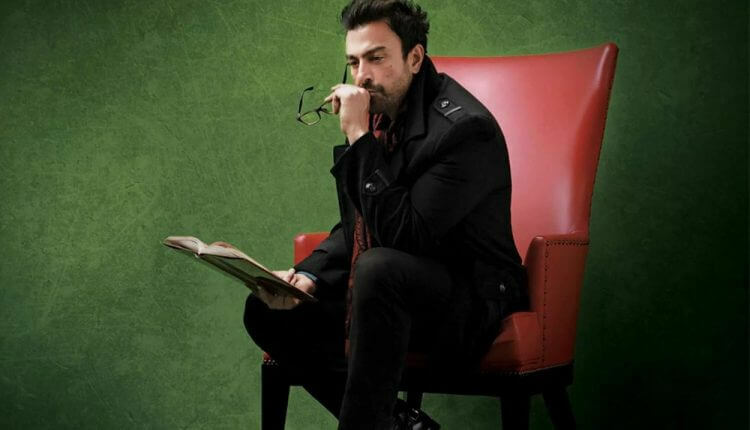 When we talk about Shaan Shahid specifically, he is one of the legendary Pakistani artists who refused Indian films and preferred to work in his own film industry. After Pulwama incident, Shan Shahid is one of those who clapped back the hate-mongering by Indian celebrities. 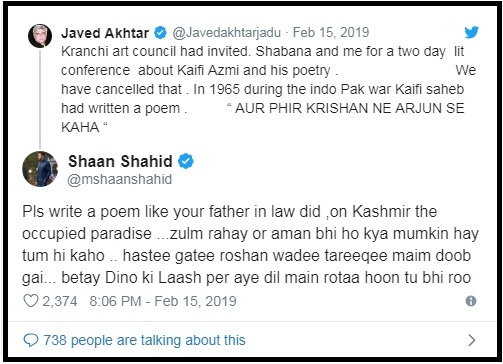 He gave a befitting reply to Indian poet Javed Akhtar for not coming to Pakistan for a two-day literature conference in Karachi. There is no doubt that filmmakers of both countries are making their own way to progress and get internationally recognized but the difference in their work can be seen by everyone. Let’s see when they would use this medium as a powerful tool for reshaping minds of masses positively. Aquafina’s New Ad Featuring Mahira Khan Is The Epitome Of The Term ‘World Class’ And The Vibes Are Refreshing!